Halloween comes once a year presenting challenges of how to get the kids to sleep at the end of an exciting evening. 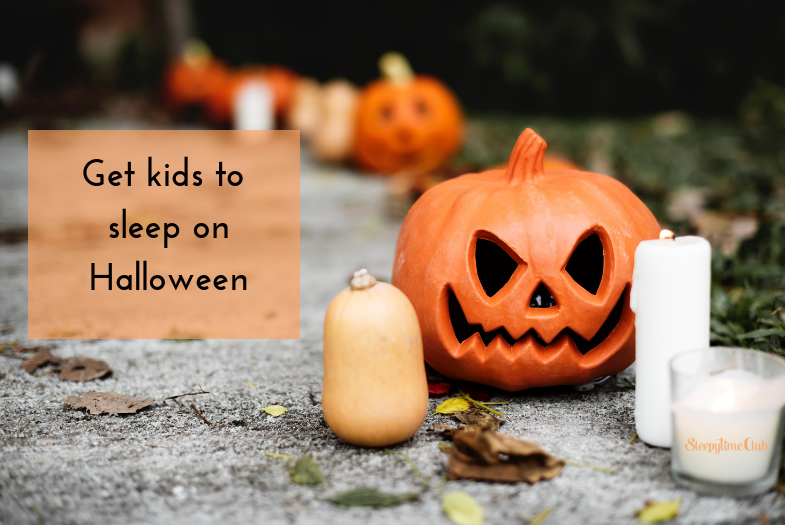 It’s not just the sugar from trick-or-treat candy that doesn’t help get the kids to sleep on Halloween. You know what it’s like when the kids don’t sleep just one night: there’s a domino effect for days. Halloween is on a Wednesday this year which means there’s a good possibility your children, their classmates and teachers, and of course parents, may have a rocky road all the way to Saturday night. Here are some tips to make Halloween night, November first, and the days that follow easier on your family. Don’t just carve pumpkins – carve out some quiet time during the day. Halloween shouldn’t be rushed into as just another activity. Encourage some quiet time and preparation before going out for the trick-or-treat adventure. There are many communities that have Halloween parties on nights other than October 31st. If your children have already participated in one of these, discuss whether they really need the elaborate makeup or costume accessories on Halloween night. Simplifying costumes and eliminating makeup removal will make bedtime shorter, more familiar, and the transition to sleep simpler. If there is a wide spread in age in your family’s children collaborate on how to manage trick or treating so everyone gets to bed at reasonable hours. Can you stagger trick-or-treating letting the little ones start early? They can return home in the care of the adult supplying Halloween candy for the neighborhood. Toddlers might manage their consistent bedtime routine this special night with a fifteen to thirty-minute change. However, pushing that window so they’re going to bed an hour later can be a challenge – for them and those around them. This is a tough one, right? Candy is part of the Halloween tradition. As with all family discussions, if you want this one to be successful, engage the kids and weigh their opinions. Children are often wiser than we give them credit for. But remember, you have the final say and set the boundaries. They’re following your lead. With some humor you can point out how consuming every single treat in one night will not be helpful. Raising blood sugar levels before sleeping will result in waking up in the middle of the night, putting your child and your family back into that cycle of sleeplessness and all the bad stuff that comes with it. In addition to sugar, the caffeine in chocolate will negatively impact sleep. For more on caffeine, kids, and sleep, go to this blog post. You can also opt-out of giving children sugar on Halloween. Or is that a scary thought? For several years, we used the days before Halloween to go through all the little toys that had been collected during the past year. Toys like freebies from fast food chains and party favors which were no longer played with. On Halloween night, we gave out one piece of candy and one toy. It was a HUGE hit! Kids were delighted, parents said “thank you!”. Plus we had the benefit of an intentional decluttering. You can find more ideas for a sugar-free Halloween by clicking HERE. Halloween may not be the night you want to go through your whole bedtime routine with your child. Naturally, you’ll want to wash up, take the PJ’s out of their special place, and turn down the bed. Halloween may not be the night, however, to read a long book or go through a very long list of everything for which you’re grateful. It is imperative you connect with your kids as they make that bedtime transition. Older children – tweens and teens – may just need some eye contact and an affirming phrase. Younger children will need your presence at their bedside. 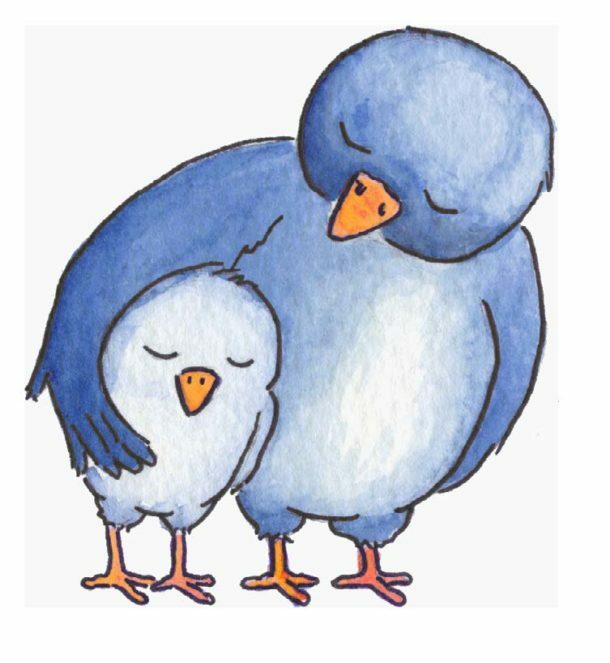 The Put the Day to Bed mini bedtime kit (audio and printable illustrated book) will help you connect with your child and calm them down after an exciting Halloween evening. It takes about seven minutes. You can get it free at Sleepytime Club’s home page. Looking for more ways to make for happy good nights throughout the year? The free Get Your Sleep On Summit offers interviews with sleep and parenting experts. Download and listen HERE.